Over the last two years, Bailey Nurseries, has heard some reports of inconsistent flower production, especially in cooler climates. Although a number of factors may contribute to the consistency or inconsistency of blooms, there is no simple answer to this matter. Here are some steps consumers in cooler northern climates can take to help ensure beautiful blooms. Location Location, location, location! Yes, that old saying is true. In Northern climates, the location of your hydrangea in the garden will have the largest impact on bloom production. The farther north you are, the more sun your plants can tolerate. In zones 4-5a we recommend planting your Hydrangeas in a location that enables them to receive at least 6 hours of sun with some dappled shade in the afternoon. Pruning Don’t treat your Endless Summer Hydrangeas like an Annabelle Hydrangea by cutting them back in the fall or early spring. 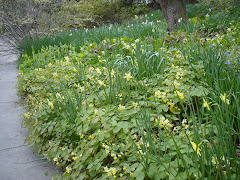 By cutting to the ground or within a few inches of the ground, most if not all of the buds on old wood are being removed. In addition, the old blooms of Endless Summer add to the winter interest of your garden. Endless Summer Hydrangeas certainly do bloom on new wood, but it may take longer for flower buds to develop on the new growth of a young plant. Winter cover Protection for plants in the first few years is important, as is protection from spring freezes. Since Hydrangea buds emerge early in spring, late freezes may damage bud development as well as any new growth. Keeping the crown of plants covered with mulch through May helps protect these buds and any soft new growth from late spring freezes. 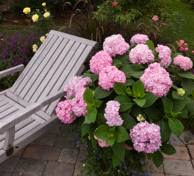 Feeding you plant Fertilization is also an important factor in flower production of Hydrangeas. A good quality, slow-release fertilizer applied once in spring or early summer should suffice for all but the most demanding locations. Look for an NPK ratio of 10-30-10. Container plants may need an additional application of liquid fertilizer during the growing season. Remember, if you over-feed your Hydrangeas, the effect is more dark green leaf production with fewer flower buds. In the North (zone 4) we recommend no fertilization after August 15th, as plants need to slow down and acclimate for winter. Watering The amount you water is one more factor you can regulate to ensure beautiful blooms. Although Hydrangeas are named after “Hydra”, Greek for water, your hydrangeas will form large leaves, lots of green growth and few flower buds if over- watered. Over-watering may slow the formation of flowers considerably. It’s normal for plants to wilt for a short time in the heat of the day. You’re better off to water well and less often, than giving a little all the time. yet they forget to personalize their computers and gadgets.